In 1862, Abraham Lincoln signed the Homestead Act, a bill opening one half million square miles of territory in the western United States for settlement. The Homestead Act offered new arrivals from other countries the opportunity to stake and develop farms of 160 acres by simply working the land for five years. Although they were only in their teens or early twenties, my great grandparents individually left their villages in Norway and Sweden between 1875 and 1885 and migrated to western Minnesota and South Dakota. Similar to the protagonists in the epics of Ole Rolvaag and Vilhelm Moberg, they worked the rich farmland, married, raised families, and achieved prosperity unattainable at that time in Scandinavia. Things changed for my parents’ generation. My father, Courtland Agre, and his two sisters grew up in Wallace, a hamlet in eastern South Dakota where his parents ran the general store. Wallace was also the hometown of Hubert Humphrey, and while my aunt Pearl remembers baby-sitting young Hubert, my father, an ardent Republican, claimed that they never met. To accommodate their educational needs, my grandparents moved the family to a larger town and ultimately to Minneapolis where Dad earned his B.S. and Ph.D. in chemistry from the University of Minnesota. He contributed to the U.S. effort in World War II by working as an experimental polymer chemist for the 3M company. My mother, Ellen Swedberg, was the sixth of eight children. Her upbringing was more severe. She was only five years old when her mother died; later her father lost their farm in Twin Brooks, South Dakota during the Depression. At age 18, Mother moved to St. Paul in order to support herself. Despite eleven years difference in age, Dad and Mom met at a Lutheran church social, fell in love, and married. I was never certain how much their families approved, since even small differences in geographical origins are taken very seriously by Scandinavians. The Agres were Norwegian (Osterdalen and Trondelag), while the Swedbergs had mixed origins – Swedish (Skåne) and Norwegian (Telemark). Following WWII, my parents moved to Northfield, a town 40 miles south of Minneapolis where Dad was recruited to the chemistry department at St. Olaf College. Dad was energetic and, with the help of his St. Olaf students during the summers, he built our house across the street from the college athletic fields and meadows. We could look up at the college from our living room. As was the tradition, Mom had babies and took care of the family. Preceded two years by my sister Annetta, I was born on January 30, 1949 and received the anglicized name of my grandfather, Peder. My closest sibling, James (Jim), was born one year later, followed by Paul, Ruth, and Mark. We had an idyllic childhood. Grandmother Agre lived nearby and coaxed us to speak rudimentary Norwegian in return for cookies and other bribes (“Jeg liker Bestemor’s mat!”). Northfield was in many ways a new-world enclave of pre-Ibsen Norway with 19th century religious and socially conservative values. My friends had family names like Lunder, Finholt, Berglund, and Fredriksen. We schoolchildren all sat on the hillside waving our Norwegian flags when King Haakon visited St. Olaf. He was chauffeured from the train station to the college in the only Cadillac in town – owned by the local plumber. We always had lutefisk for Christmas dinner, after which Dad read from the Norwegian Bible. 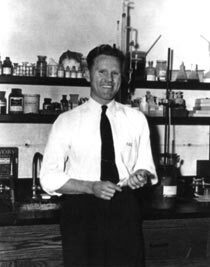 During the summers, he welcomed us into his laboratory at St. Olaf where he rigged simple “experiments” for us such as changing the color of solutions containing indicator dye by adding acid or base. As a youngster, it was obvious to me that I would follow my father’s career path, since he was my greatest hero. Courtland Agre in his lab at St. Olaf College. Life changed for our family while I was in the third grade. Grandmother Agre died, and Dad decided to take a sabbatical year at the University of California. Dad had high aspirations, and through the American Chemical Society he became acquainted with renowned scientists. Berkeley was an amazing change from Northfield, and Jim and I attempted, with limited success, to demonstrate our Norwegian athletic and scholastic superiority to the smart and culturally heterogeneous Berkeley youngsters. It was at this time that my brother Paul was recognized as mentally retarded, and my sister Ruth began to exhibit her lifelong personality disorder with lack of impulse control. While they never fretted openly, these problems must have caused my parents profound heartache. Following the year in Berkeley, we returned to Minnesota. Always eager for a challenge, Dad accepted a professorship at Augsburg College, a small Norwegian Lutheran college in Minneapolis with a chemistry department in need of help. We lived in a beautiful, large brick house on the banks of Lake Nokomis and went to the public schools. My inconsistent academic performance was usually well tolerated, as I tried to amuse my school classes with my practical jokes and amateurish wit. As in Northfield, my teachers were the kindest and nicest people imaginable. 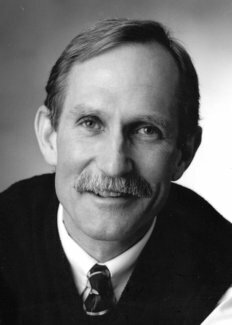 It is impossible to overestimate the importance of a teacher in the life of a child, and my all-time favorite was my sixth grade teacher Richard Hughes whose kindly personality and gentle sense of humor inspired in us the idea that learning is wonderfully fun. This impression was shared by many. My classmate Julia Lofness remains a close personal friend and still cheers me by retelling events from our days in Mr. Hughes’ class. My brother Jim and I spent many wonderful summers working on dairy farms in Wisconsin owned by Mom’s cousins, and as members of our local Boy Scout troop. Scouting was a particularly important activity for us, and through the generous instruction of our Scoutmasters, Harold Neuendorf and Francis McMahon, we learned the resourcefulness needed to camp out even in Minnesota winters. One of our happiest times was in 1964 when Jim and I received our Eagle Scout Awards together – Dad carried that snapshot in his wallet for the rest of his life. Dad’s presence was always palpable. Needing a medical doctor to perform physical examinations before summer camp, Dad always arranged for one of his former St. Olaf students to serve. One summer, Dr. Charles Mayo, grandson of the Mayo Clinic founder, examined the boys of Troop 185. Also as a Scout, I developed a deep interest in the culture of the Ojibway Indians of Northern Minnesota and explored the Canadian wilderness by canoe – an activity that I still undertake with family members each summer. In retrospect, another remarkable experience was the several-days visit to our home by Dad’s friend Linus Pauling who presented lectures on physical chemistry (subject of his 1954 Nobel Prize in Chemistry) and the dangers of nuclear arms (subject of his 1962 Nobel Peace Prize). In person, Pauling was jovial, confident, and more engaging than anyone we had ever met. Dad always raved that Pauling’s accomplishments were the greatest, and he instilled in us his view that the Nobel Prize is the closest thing to the Holy Grail. My years at Theodore Roosevelt high school were notable for reasons other than academics. Like other adolescents, I developed a strong attraction to girls and discovered that my parents’ ideas were not the least bit interesting. I earned money as a concession salesman at the Minnesota Twins and Vikings games. At this time I developed a lifelong love of cross country skiing and long distance bicycling with my close friend and classmate Tom Page, an aspiring artist and fellow adventurer. Following my junior year in high school, I went on a camping trip through Russia in a group led by Horst Momber, a young language teacher from Roosevelt. This permanently sparked great enthusiasm for international travel in me. After my return, I gravitated in a Bohemian direction. Fancying myself as some sort of Bolshevik, my senior year in high school went badly in terms of conforming with my family’s expectations. Rebelling against the establishment, my friends and I self-published an underground newspaper, The Substandard – a parody of the Roosevelt High School Standard. Our foray into newspaper work caused much delight amongst everyone except the school administration. Facing dismissal, I withdrew from school in the winter of 1967 when my grade in chemistry had dropped to a “D.” Nevertheless, I finished my high school degree in night school, and I studied Russian language at the University of Minnesota during the day. I worked the evening shift and drove a truck for a factory making dummy land mines and parts for military equipment destined for the war in Vietnam. This experience in the real world was far less appealing than I had anticipated, but Dad’s faculty position offered a logical solution. I swallowed my pride and enrolled at Augsburg where I majored in chemistry in preparation for a career in medicine. Living at home, my social life was restricted to bicycle rides along the Mississippi River and around the lakes. My closest friends Tom and Julia remained in Minnesota for college and were generous sources of support. My second year at Augsburg was enlivened when brother Jim and I organized and played for the varsity soccer team. I also worked part time delivering flowers for a local florist. Although I was not sympathetic to the Lutheran affiliation of the school, I developed my first real academic self-discipline at Augsburg. I greatly benefited from excellent faculty, especially John Holum, the organic chemistry professor, and from the warm and friendly personalities of the other chemistry majors. Unlike many campuses, Augsburg lacked an overly competitive pre-med atmosphere, and all eight of the premedical chemistry majors in the class of 1970 were accepted into medical school. My brothers Jim and Mark also attended Augsburg and went on to medical school. Annetta graduated from Augsburg before marrying and raising her family; her daughter Christina has also become a medical doctor. The long, cold Minnesota winters instilled in me a fascination for exotic far off places; I aspired toward a career in tropical diseases and world health problems. Johns Hopkins is highly regarded in these areas of research, and I was ecstatic when I was accepted into their medical school. Having enough credits to finish Augsburg early, I left Minnesota in the winter of 1970 to travel alone throughout Asia for several months. This was an eye-opening experience, and after hitchhiking throughout Japan and Taiwan, I journeyed to Laos where I traveled up the Mekong River and explored the hills of northern Thailand by motorcycle. Determined to visit Angkor Wat, I entered Cambodia and eventually arrived in Pnom Penh just as the U.S. Air Force launched its ‘Parrots Beak’ offensive against Vietcong east of the city. Advised by the U.S. Embassy to depart immediately, I boarded an evacuation flight to Vietnam where I viewed the U.S. forces in and around Saigon for several days before leaving for the calm and verdurous Malay highlands. Following a counterculture passage through Ceylon, India, Pakistan, Afghanistan, and Iran, I eventually arrived in Istanbul, weakened from multiple travelers’ ailments including viral hepatitis. I began my medical studies at Johns Hopkins in September 1970. After being footloose in Asia, I found it difficult to concentrate on medical school, and my best efforts seemed barely enough to earn passing grades. I concluded that my presence at Hopkins fulfilled some sort of affirmative action quota for a Scandinavian student from Minnesota or the Dakotas. My medical school roommate, Vann Bennett, was from Hawaii, and he was thoroughly committed to surfing and laboratory science. Unlike most Hopkins medical students, Vann and I led severely ascetic lives, inhabiting a series of dilapidated rooms. We enjoyed touring the countryside by bicycle, and I made some long rides through Mexico and Canada. I maintained my counterculture image by always making my return trips to Minnesota by hitchhiking. Johns Hopkins introduced me to two defining events in my life: commitment to biomedical research and meeting my future wife, Mary. It was known in 1970 that most traveler’s diarrhea was caused by a protein similar to the cholera toxin secreted by certain strains of E. coli. I began a summer project to purify the E. coli toxin in the lab of Brad Sack in the Infectious Disease group at Johns Hopkins. At Vann’s suggestion, I performed some of the biochemical studies in the laboratory of Pedro Cuatrecasas in the Pharmacology Department. The project fascinated me so much that I stayed in Pedro’s lab during my final year in medical school, 1974, and put in an additional year as a postdoctoral fellow. I eventually succeeded in purifying the toxin, but of larger importance was my discovery that I wanted to make biomedical research my life’s work. This was in part due to the fascinating scientists in the group. Looking back, it seems unlikely that such a passionate but disparate group of scientists could form a team and become close personal friends. Led by Pedro, a cosmopolitan intellectual with Spanish and South American roots, our group included a Palestinian from Lebanon, a conservative Jew from Brooklyn, a French psychiatrist, a Swiss-Indian chemist, a Canadian Rhodes Scholar, a Spanish anti-Franco activist, and a strikingly handsome Italian film actor who attracted the notice of every woman at Hopkins as he elucidated the molecular basis of femininity by performing the first purification of the estrogen receptor. During these lab years, I met Mary Macgill, an attractive and intelligent young woman who was working in a Hopkins neurovirology lab. Mary and I immediately fell in love and became inseparable. Her calm and wise approach to life balanced my frenetic nature. From our first days together, Mary always encouraged me in my scientific career, and she often brought food to the lab late at night so we could keep working. Despite my ragamuffin appearance, Mary’s family received me warmly. Representing a fascinating mix of blueblood lineage and farm-raised practicality, both sides of her family were among the early settlers in Maryland. Her mother, who had died a year before I met Mary, was a direct descendant of Pocahontas, and her father was a distinguished trial judge in Howard County, Maryland. We were married on March 29, 1975. During this time, Pedro’s group had moved to the Wellcome Laboratories in Research Triangle Park, North Carolina. I accepted a clinical fellowship in hematology and oncology at the nearby University of North Carolina (UNC), and Mary and I moved to Chapel Hill in late June 1978. I supplemented the meager fellowship stipend by working as a physician at the army hospital at Fort Bragg (home of the 82nd Airborne Division). Mary and I purchased a small cottage in the country and two Irish Setter puppies. Our daughter Sara was born in September; Claire was born a year and a half later. Our family life was Spartan but delightful. 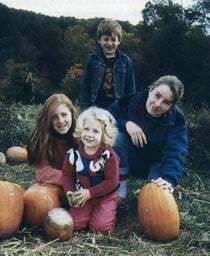 We made many bicycle trips to neighboring farms and camping trips in the Smokies with our adorable little daughters – Sara a towhead with beautiful blue eyes and an engaging smile, and Claire with a thick shock of red hair and many clever but often mischievous ideas. My clinical duties taking care of cancer patients at UNC were frequently depressing, but I enjoyed attending the outpatient clinic with John Parker, a clear-sighted Professor of Medicine who always encouraged me to study red cell membranes. Vann had also joined the Wellcome Laboratories, and he developed techniques to study the principal structural proteins from red blood cell membranes – spectrin, which formed the girders of the membrane skeleton, and ankyrin, the attachment protein that he discovered. Campbell McMillan, a UNC pediatric hematologist, had identified two little girls in his clinic with an extreme form of hereditary spherocytosis, a disorder of red cell shape causing increased fragility. Spherocytosis is generally accompanied by only mild anemia, but the sisters were nearly lethally affected. Together with Vann, I evaluated the membranes and found them to be grossly deficient in spectrin, and we reported the study in the New England Journal of Medicine. This strongly reinforced my desire to pursue biomedical research. When Vann returned to Johns Hopkins in 1981 as a faculty member, I applied for an NIH career development grant to join him for more research training. This did not make sense financially, as it meant a 40% reduction in salary and loss of my staff position in the Wellcome Labs and adjunct faculty position at UNC. I consulted with my friend John Parker who generously reassured me that the opportunity at work with Vann at Hopkins would be important for me. Encouraged by Mary, we sold our lovely cottage, packed up our station wagon and a rental truck, and returned to Baltimore in August 1981. We scraped together funds and purchased a brick Dutch colonial house next to the Stoneleigh Elementary School and a large park and forest. The location was fortunate; I could commute the 6 miles to Hopkins every day by bicycle. To supplement our resources, I moonlighted as a ringside physician at professional boxing matches. 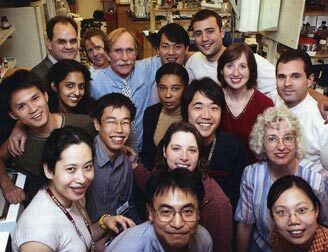 The Department of Cell Biology at Johns Hopkins was founded and directed by Tom Pollard, an engaging young scientist with remarkable energy and enthusiasm. I continued working with Vann and reported a series of studies of red cell membranes. I would have been happy to have remained in Vann’s lab, but he recognized my need for an independent faculty position. In early autumn 1983, I received a faculty offer from the Hematology Division at Brigham and Women’s Hospital at Harvard Medical School – a program regarded as the best in the country. I accepted the offer verbally, but Mary was pregnant with our third child, and while she remained supportive, she strongly desired to remain in Baltimore near her family. The Hematology Division at Johns Hopkins was in a transitional mode and exhibited minimal interest in me. However, Victor McKusick, then-Chairman of the Department of Medicine at Hopkins, interceded and I was offered an Assistant Professorship but with a much smaller start-up package. This offer from Hopkins coincided with the blackest period in our family life. In the 9th month of her pregnancy, Mary experienced a premature separation of the placenta. After induction of labor, our daughter Lydia was born in severe distress. Although she survived, our baby never recovered. Like her sisters, Lydia was a gorgeous child, but her spontaneous movements were few. She moaned softly whenever she was repositioned in her crib, but she always relaxed when we held her. Devastated and expecting a need for permanent home nursing assistance, I accepted the offer at Hopkins, since it would provide the supplemental health care insurance needed for Lydia’s care. Although Mary always exhibited the utmost determination to provide the best possible life for Lydia, I wavered badly and only with great difficulty was I able to accept our situation. We were again crushed when Lydia died four days before Christmas 1983. We had the advantage of broad support from family and friends but struggled to cope. Mary stayed home to care for Sara and Claire while I set up a tiny lab in the old Blalock Building in Johns Hopkins Hospital. I was able to hire a technician, Andy Asimos, a bright-eyed young man from a Greek family who applied to work for two years before going to medical school. Andy and I continued the spherocytosis studies, establishing that the level of spectrin deficiency correlated with the clinical severity of the disease in new reports published in Nature and the New England Journal of Medicine. Although the importance of the blood group antigen Rh was universally recognized, I was surprised to learn from Wendell Rosse, our friend at Duke Medical Center, that the molecular identity of Rh was completely unknown. The existence of 32 kDa polypeptides in red cells from Rh(D) individuals was reported by two European groups. We initiated a new project on the Rh blood group antigen in the hope that isolation of the polypeptide would allow us to define the components of the Rh antigen. Andy and I injected a series of rabbits with the partially purified 32 kDa Rh polypeptide. When Andy left for medical school, Barbara Smith, a former blood bank technologist, replaced him and set about purifying the Rh polypeptide. We soon recognized that we actually had isolated two membrane proteins – the 32 kDa Rh and a second protein of 28 kDa. My research expanded and we focused our major attention on Rh but continued to dabble with the 28 kDa protein. Our son Clarke was born in 1985 – an adorable little boy with a dimple in his left cheek. Mary and I took Clarke with us on a motor trip through Ireland the next year, and our family life gradually returned to normal. Mary organized camping trips for us to the national parks in the U.S and Canada each summer and Appalachian Trail hikes and visits to farms on the weekends. The tent shook as we played monkey pile, a game where I wrestled with the children and tickled them until they giggled themselves speechless. The children loved camping, and I made up crazy bedtime stories about a pirate named Cinco Grumpy and his brother Buffalo Grumpy who rode a horse named Snapping Pony. Sara and Claire attended Stoneleigh Elementary, played on recreation league soccer teams, and greatly enjoyed the synchronized swim program at the community pool. Mary always played the major role of parent. She organized an aluminum-recycling program for the elementary school and volunteered to teach science to the children at Stoneleigh. She made friends with the McKnights, a neighboring family with three children close in age to our own. I met the father, Steve, at a neighborhood function when Claire pointed him out as “Gracie’s Dad.” Steve had done pioneering work on DNA transcription factors and had already established himself as a major figure in molecular biology. I was inspired to join his lab at the Carnegie Institution as a sabbatical worker for the 1988-1989 academic year. This proved to be enormously productive – I learned DNA technology and made a worthwhile contribution to the understanding of transcription factor-DNA interactions. 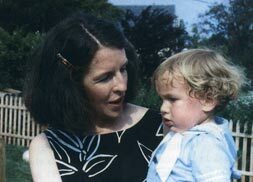 By coincidence, another child was born to each family in 1989 – Johnny McKnight and Anne Carlyle Agre (Carly). Upon returning to our lab, I felt that we should explore the 28 kDa protein further. Barb and postdoctoral Fellow Brad Denker worked to develop a simple method for purifying the 28 kDa protein from the membranes of human red blood cells based upon its relative insolubility in N-lauroylsarcosine, a detergent that extracted the other membrane proteins. The 28 kDa protein was found to be amazingly abundant in red cell membranes (approximately 200,000 copies per cell) and behaved physically like a membrane-spanning homotetramer. Other scientists had failed to observe the protein because it did not react with the usual protein stains. The 28 kDa protein was astonishingly abundant in renal proximal tubules and in thin descending limbs of the loop of Henle. Determination of the N-terminal sequence of the purified protein showed it to be related to a series of proteins from diverse sources – lens of cow eye, fruit fly brain, bacteria, and plants. These clues intrigued me. I wondered if the 28 kDa protein might be some sort of channel. I discussed the protein with numerous scientists who were as puzzled as I and who could not provide any insight. In April 1991, we stopped in Chapel Hill while returning from a camping trip to Florida – a compromise vacation during which we took the children to their choice of park (Disney World) and our choice (the Everglades). I visited Vann, who had joined Duke as a Howard Hughes Investigator. I then dropped by UNC to visit John Parker. Although it was late in the afternoon, and he was visibly tired from a long day in the clinic, John sat quietly as I described the mysterious 28 kDa protein. After listening thoughtfully, John leaned forward in his chair and suggested that the protein might be a channel for water – something he stated that physiologists regarded as controversial since no one had ever been able to define the molecular identity of such a protein. John’s idea yielded the breakthrough that opened a new field. Greg Preston, a Postdoctoral Fellow with strong molecular biological experience, cloned the cDNA for the 28 kDa protein. We were also extremely fortunate to have Bill Guggino, Hopkins Department of Physiology, as a collaborator. Greg expressed the protein in frog eggs isolated from Xenopus laevis – a useful expression system known to have low water permeability. Greg tested our hypothesis on October 9, 1991. Although the oocytes expressing the 28 kDa protein and the control oocytes looked the same, when he transferred them from isotonic solution to distilled water, an amazing difference was immediately obvious – all six control oocytes were unaffected whereas all six 28 kDa oocytes immediately exploded like popcorn. Greg ran into my office almost speechless, and we both celebrated with joy. We knew from the first experiment that the 28 kDa protein conferred water permeability and must be the long-sought water channel. Our lab had always refrained from keeping our studies secret. We openly shared the information of our studies with Joseph Handler and his group in the Hopkins Nephrology Division. Joe considered this a major breakthrough and congratulated us; however, he warned me to publish the information as soon as possible. He was aware of other scientists with large groups who were attempting to isolate or clone the putative water channel. Word got out quickly, and within a month investigators from high-powered laboratories in the U.S., Japan, and Europe requested our plasmid and information about our studies. Intensely nervous, Greg and I worked through the Christmas holidays in marathon sessions to perform every conceivable control. We submitted the paper on February 4, 1992, but I lay awake at night worrying that my openness would cause us to be scooped. My departmental chairmen Jack Stobo, Department of Medicine, and Tom Pollard, Department of Cell Biology/Anatomy, reassured me that we had taken the ethical high road and would not be denied credit for the discovery. I subsequently learned that other groups had immediately focused all their attention on the 28 kDa protein after hearing about our unpublished observations. We succeeded in attaining priority when our paper was accepted for publication in the April 17 issue of Science. Greg was selected to present the study as a plenary lecture at the American Society of Clinical Investigation. Several colleagues joined us for lunch before Greg’s talk, and the name “aquaporin” emerged. We all agreed that it was perfect, and our 28 kDa protein became officially designated as AQP1. We initiated a series of collaborations with laboratories outside of Hopkins, and these scientists soon became close friends of my lab and family. The collaborations yielded a rich set of studies that catapulted us into prominence within the membrane transport field. Mark Knepper, at the NIH Laboratory for Kidney and Electrolyte Metabolism, introduced us to his junior colleague, Søren Nielsen, at the University of Aarhus, and his former mentor, Arvid Maunsbach. With Søren in the lead, we defined the sites of expression of AQP1 in kidney, brain, capillaries, and other tissues by high resolution light microscopy and immunogold electron microscopy. Using AQP1 protein that Barb Smith purified to homogeneity, our collaborators Mark Zeidel at Harvard and Suresh Amubudkar at Hopkins defined the biophysical functions of AQP1 reconstituted into synthetic liposomes. Ueli Aebi, a former Hopkins colleague, introduced us to Andreas Engel at the M.E. Müller- Institute at the Biozentrum of the University of Basel in Switzerland. Andreas and his grad student Tom Walz prepared membrane crystals containing our highly purified AQP1 protein and determined the structure by negative staining electron microscopy, atomic force microscopy, and electron crystallography. The next two years (1992-94) proved critical to my academic development and our laboratory’s research. My lab had temporarily resided within the Cell Biology Department, but when space constraints emerged, we were faced with the need to relocate. This was not initially popular with our team, and signs emblazoned “Hell No – We won’t go!” appeared in the lab. Fortunately, Dan Lane, Chairman of the Department of Biological Chemistry, offered me the lab once occupied by the renowned biochemist, Albert Lehninger. This was a godsend, and I have held a faculty position in the Department of Biological Chemistry ever since. Promotion to full professor came in 1993. Also at this time, I assisted Tom Pollard in the launching of a new Ph.D. graduate program. With funding from the Markey Charitable Trust, the Johns Hopkins Graduate Program in Cellular and Molecular Medicine (CMM) was initiated to permit talented students in the laboratories of clinical and basic science departments to attain fundamental research skills and in-depth understanding of clinical diseases. Our first students matriculated in September 1994. Agre children: Clarke standing, Claire left, Sara right, Carly front. These years brought the realities of adult life. Mary was always very close to her father, but his health had declined and he died at age 81 while we were on a camping trip in California. Rather than returning for his funeral, we joined with the children in a special Jamie-remembrance at our campsite at Yosemite. John Parker was tragically stricken with a malignancy and died soon after at age 58. My father had been diagnosed with prostate cancer and succumbed at age 82. Mary and I both became the senior generation of our families. Fortunately, Mary’s sister Sally moved nearby and added immensely to our lives and the lives of our four children. Sara and Claire became artists and scholars in high school. Clarke became a Cub Scout. Carly enjoyed special status as the “baby of the family” and kept us all amused with her wacky sense of humor. Sometimes her siblings teased Carly too much. The children all enjoyed our family dogs – especially when they misbehaved, but Carly experienced an emotional meltdown when Sara once misinformed her that the rabbit that our dog had killed was the Easter Bunny! The decade of 1994-2003 proved exhilarating but exhausting. We continued at a fast pace in our own laboratory and in key collaborations with outstanding laboratories in Europe; together we generated more than 100 publications. Of these, a few stand out in my mind as particularly notable achievements. The structural studies begun with analysis of recombinants in our lab by Greg Preston and Jin Sup Jung led to proposition of the hourglass model – a unique structure with four subunits each containing an individual aqueous pore formed from two hemi-channels oriented at 180° to each other that overlap within the bilayer. The electron crystallographic studies with Andreas Engel were expanded to include Yoshinori Fujiyoshi and his group in Kyoto. These studies of biologically active membrane crystals revealed electron densities at 3.8 Å, and merging with the recombinant studies yielded the first high resolution structure of a human membrane channel. X-ray crystallography and molecular dynamics simulations by other scientists soon advanced the structure further. The identification of humans lacking AQP1 protein resulted from co-localization of the structural gene with the Co blood group antigens on human chromosome 7 by Chulso Moon and demonstration of the Co polymorphism by Barb Smith and Greg Preston. Co-null individuals are extremely rare, and knockout mutations were identified in the gene encoding AQP1 (hence, AQP1-null). Although AQP1-null individuals are extremely rare, they feel perfectly well. Nevertheless, definitive studies by Landon King elucidated a major defect in renal concentration after thirsting and a marked delay in vascular water permeability. Cloning the AQP4 homolog in brain by Jin Sup Jung led to a major new chapter in the recognition of water transporters at the blood brain barrier by Søren Nielsen and Ole Petter Ottersen. The structural basis of AQP4 localization resulted from a pivotal observation by John Neely and led to the recognition by Mahmood Amiry-Moghaddam that AQP4 contributes detrimentally to the onset of brain edema. AQP5, the aquaporin from secretory glands, was cloned by Surabhi Raina and was shown by Landon and Søren to have unique distribution in glands and alveolar pneumocytes. While multiple clinical roles are anticipated, functional demonstration of AQP5 in sweating may have profound relevance to body temperature regulation. AQP6 was shown by Masato Yasui to be unique amongst aquaporins in that it freely transports anions within acid secretory cells of renal collecting ducts. Experiments by Jen Carbrey and Dan Gorelick predict that AQP9 is essential for conversion of glycerol to glucose in liver during starvation. Barry Rosen and his group at Wayne State identified arsenite transport through AQP9, thereby explaining the hepatotoxicity of the compound. Multiple studies by Giuseppe Calamita, Melanie Bonhivers, Jen Carbrey, David Kozono, Mario Borgnia, and Eric Beitz have documented fascinating roles for aquaporins in micro-organisms. The astonishing interest in our work demonstrated by groups throughout the U.S. and abroad provided a direct means of showcasing the efforts of our young scientists and collaborators. During the decade, I undertook an extensive series of lecture trips, making over 250 presentations at universities, institutes, and scientific meetings on five continents. While the opportunity to speak directly to scientists around the world was important to establish visibility for the aquaporin field, the chance to meet and encourage hundreds of students and postdoctoral fellows was a most wonderful experience, since these young people represent the future of science. Our family life accommodated my extended absences. We undertook special family wilderness camping trips and each child accompanied me on some of the international travels. However, missing birthday celebrations, anniversaries, and graduations is something I am not proud of. Nevertheless, all members of the family have done very well. Sara graduated from Colgate University and is an administrator at the University of Virginia in Charlottesville. Engaged to Jason Watson, we look forward to her wedding this coming summer. Claire graduated from Duke University and taught science to 8-yearold children in Italy. She is now studying landscape architecture at Harvard Graduate School of Design in Cambridge. Clarke earned his Eagle Scout Award and received numerous honors for art and photography. He is a student at Hampshire College in Amherst MA. Carly sometimes expresses dismay for being the only child left at home, but her interests in wilderness adventures and studio arts follow the interests of her siblings. Mary took graduate school courses in education and became a pre-school teacher. When we share observations, it is clear that her 3-year-old pupils bite each other more often than my 25-year-old graduate students do, but the difference is quantitative and not absolute. Prior to the acclaim resulting from the aquaporin studies, my greatest academic recognition was the 1991 Young Investigator Award from the Eastern Section of the American Federation of Clinical Research. The presentation at a small meeting in New York City was delightful. 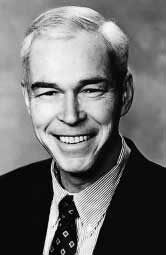 My children, however, concluded that I, at age 42, must be “the world’s oldest young investigator.” Although I never considered myself a physiologist or a nephrologist, scientists in those fields generously embraced our studies on aquaporins and showered our lab with accolades including the 1999 Homer Smith Award. The international recognition of our work was made shockingly real when I received an invitation to present the aquaporin story as part of the Jubilee Symposium in Stockholm preceding the 100th anniversary of the Nobel Prizes in December 2001. Agre lab on Oct. 8, 2003. The possibility that I might someday actually win a Nobel was raised by my father during his terminal illness. Not being superstitious, I chose to disregard the notion, but pleasant Nobel daydreams must occasionally enter the minds of many scientists. It became a vivid reality when the phone rang at 5:30 a.m. on October 8, 2003. The Royal Swedish Academy of Sciences and the Nobel Chemistry Committee awakened me with extraordinary news. A deluge of journalists descended upon our house, and only with difficulty was Mary able to contact my mother to share the news. Consistent with her modest Scandinavian farming origins, she responded calmly, “That’s very nice, but tell Peter not to let it go to his head.” When I arrived at the laboratory, celebrations had already begun. The telephone message system had filled up, but the excited voice of my Norwegian colleague was special. “Peter, Peter, we just heard the news. It’s unbelievable!” Then, after a short pause, the voice returned. “I mean it’s very believable, but it’s wonderful!” Within the next few days, I was contacted by hundreds of scientific colleagues, relatives from the U.S. and Scandinavia, friends from childhood, classmates from grade school through medical school – many whom I had not seen in years. For me, the chance to renew these bonds is perhaps the best part of winning a Nobel Prize.